Versatile, anti-static caps slip on and off easily and help reduce static build-up in static sensitive items. Economical, elastic-banded, reusable caps fit tightly over round or non-circular containers to keep out dirt and moisture. 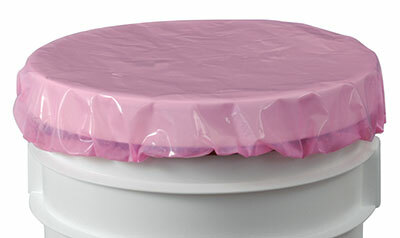 Translucent pink poly allows for quick identification of contents.